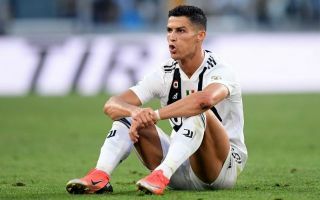 In an incredible report coming out of Italy today, it’s claimed that both Juventus and Genoa fans demanded refunds on their tickets after Cristiano Ronaldo was rested for today’s game by manager Massimiliano Allegri. The Portugal international is undoubtedly a star attraction after his world class performances down the years and highly-anticipated transfer to Juventus in the summer, but this is ridiculous. Genoa ended up beating Juve 2-0 as Allegri rested some stars after beating Atletico Madrid in a Champions League thriller in midweek. But according to the print edition of Corriere della Sera, as translated by Football Italia, this did not go down well as fans of both clubs demanded ticket refunds due to Ronaldo not being on show. While the #AgainstModernFootball brigade are mostly a bunch of miserable Brexity dads, things like this almost make you feel like they have a point. Would you ever feel hard done by if a star name was left out of a game you thought he might play in? Even if it’s still a chance to watch your favourite team play, and they have – mostly – loads of other world class players too?